Last Call for Oysters! 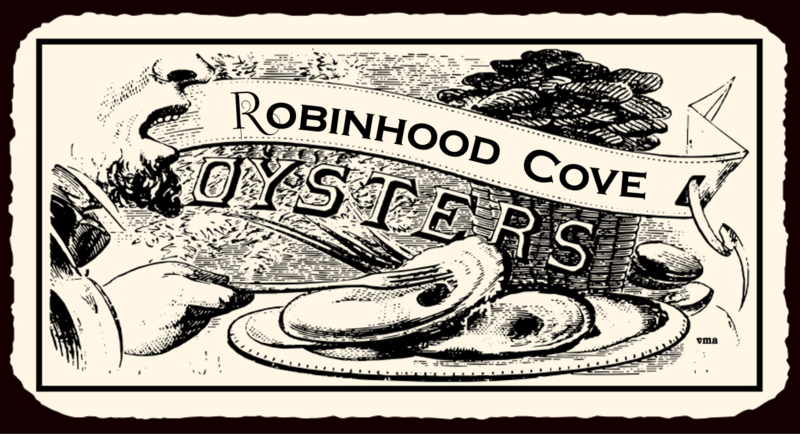 Celebrating the End of Season in Robinhood CoveRobinhood Cove is filling up with Oysters! Winter means float threatening ice so our good oyster farmers need to sink the cages and let the oysters sleep (and grow) for the winter. Before they do that, we’re going to share with you a bevy of oysters from old and new farms in Robinhood Cove! Come try oysters from all sides of the Cove and wait, there’s more! What’s a holiday serving of oysters without sparkling wine!! We’ll have a selection of our favorite bubbly by the glass for you along with a full spread of nibbles to complement the wine! Reserve your oysters on the half shell in advance – $12.00 a half dozen and the Holiday Buffet is $20 in advance. SPECIAL HOLIDAY OFFER FROM THE OYSTER FARMERS! This holiday season, our local oyster farmers are bringing you fresh oysters for your holiday table! You can order directly from them by filling out their holiday order form. Orders placed by December 15th will be guaranteed for December 22nd local pick-up. Try them at the Meetinghouse in December and order them for the Holidays!